29. December, 2014 Yesterday there was real Vermont weather in Mainz–clear blue skies, snow on the ground, bracing cold. I was restless and giddy from the sun, and decided to take the train to Worms, a small city about half an hour to the south. Worms is, along with Wittenberg, a city of Martin Luther, one of the great players in the Protestant Reformation of the early 16th century. In 1521, the city hosted the Diet of Worms, the council at which Luther was ordered to first claim authorship of and then recant his theological works. He refused, and an edict was issued several weeks later condemning him as a heretic and enemy of the Church. 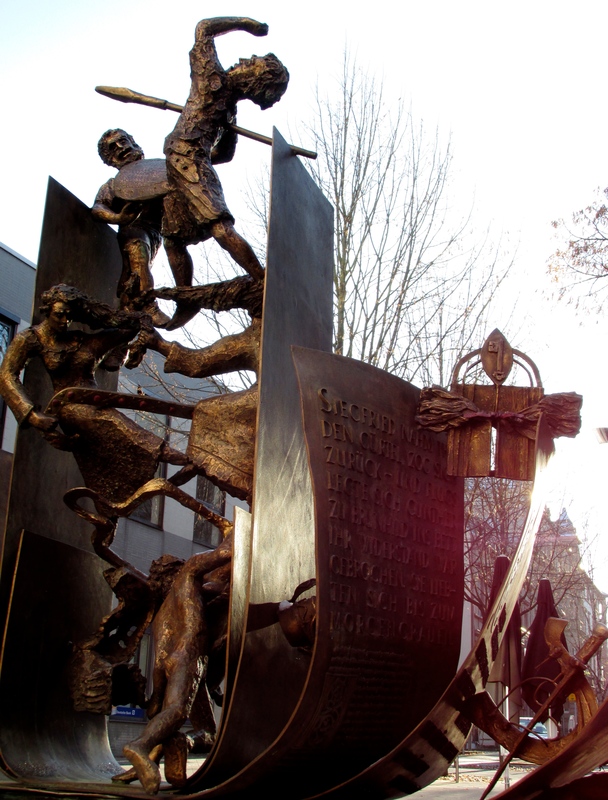 Today, the city is home to the largest monument to the Reformation in the world. It was completed in 1868, and features statues and carvings of Martin Luther along with some twenty other figures involved in the movement. Philipp Melanchthon, professor in Wittenberg and friend of Martin Luther’s. 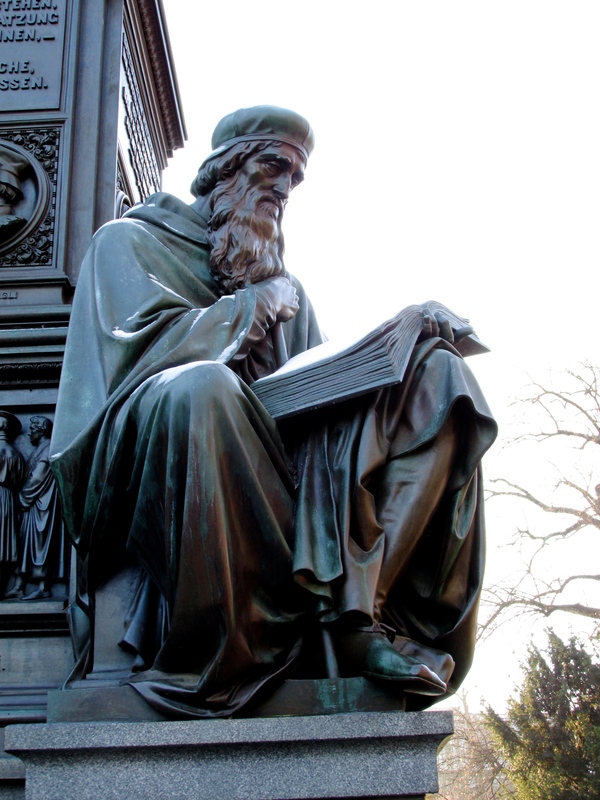 John Wyclef, English theologian and an important early reformer. The city of Speyer represented as a woman, here protesting against the Diet of Speyer in 1529, which condemned the spread of the Reformation. Martin Luther nailing the 95 Theses to the door of All Saints’ Church in Wittenberg, 31 October 1517. 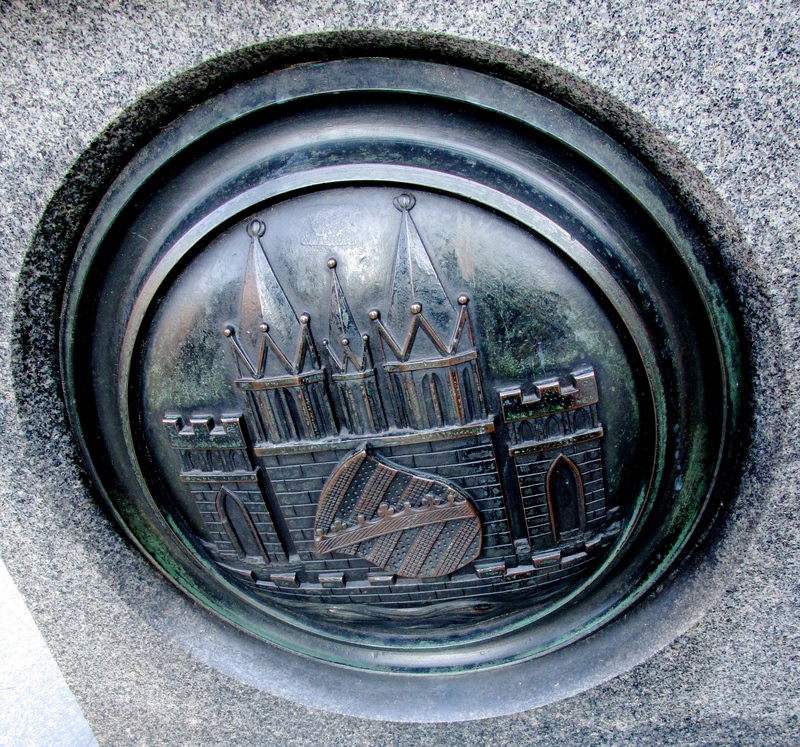 The stone under the statues is inset with the coat-of-arms of the 27 cities who took part in the reformation. Above, Wittenberg, Martin Luther’s city. 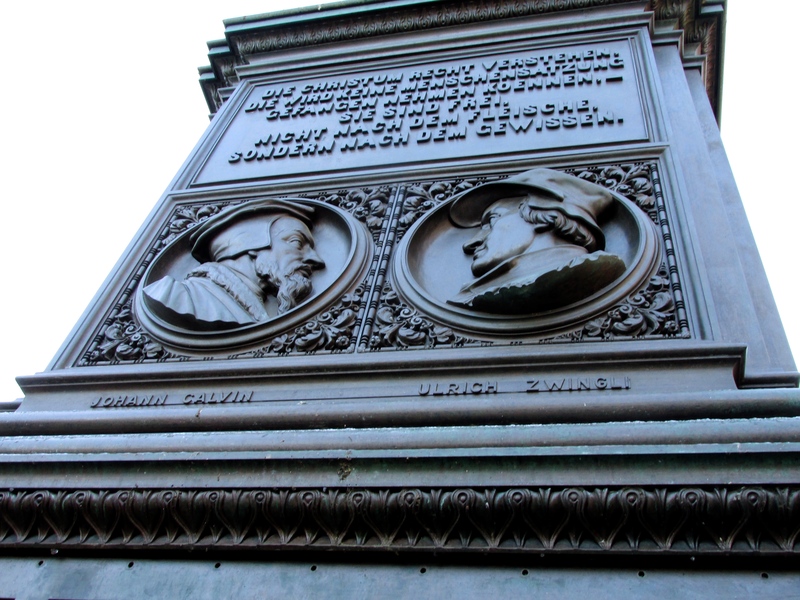 Johann Calvin and Ulrich Zwingli, with excerpts from Martin Luther’s works above them. 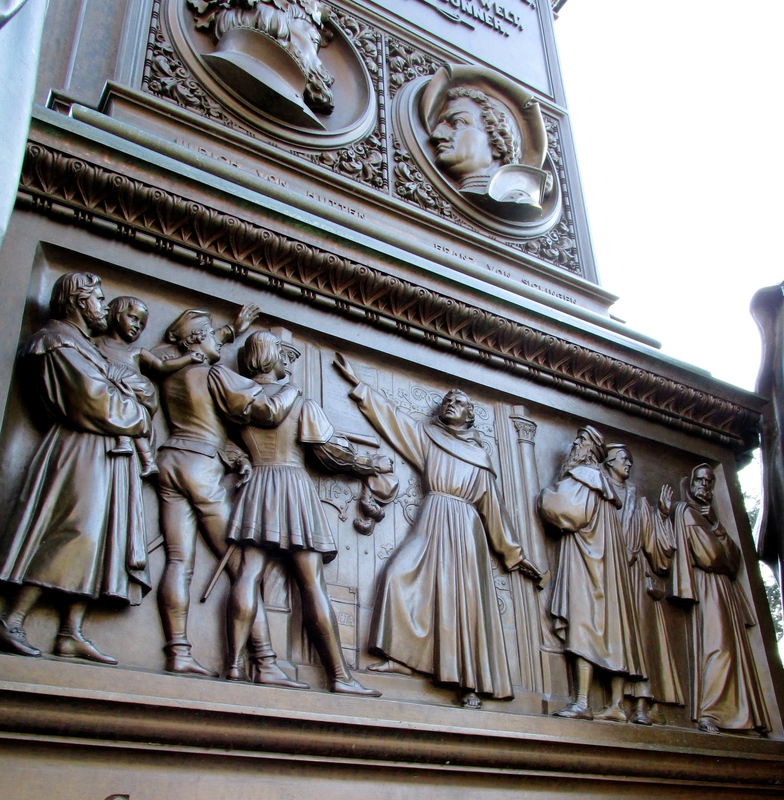 Below, Luther himself, the statue at the center of the monument. 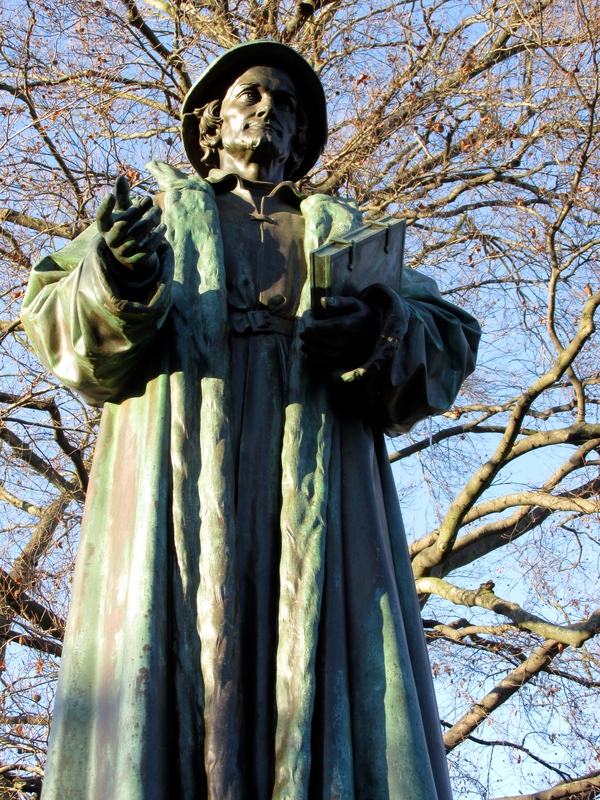 At the base are inscribed his famous words from the Diet of Worms in 1521: Hier stehe ich, ich kann nicht anders, Gott helfe mir, amen–Here I stand, I can do no other, so help me God, amen. So much for Luther–Worms’ other great narrative stands in almost comic opposition to the stringent, overtly Christian story of the Reformation. Worms is the Nibelungenstadt, City of the Nibelunglied, the anonymous epic poem at the root of German myth. The work is a sweeping re-working of pagan Norse legend, spanning generations and playing out against a backdrop of gods and men, giants and dragons, swords and treasure. Worms serves as the setting for much of the story. 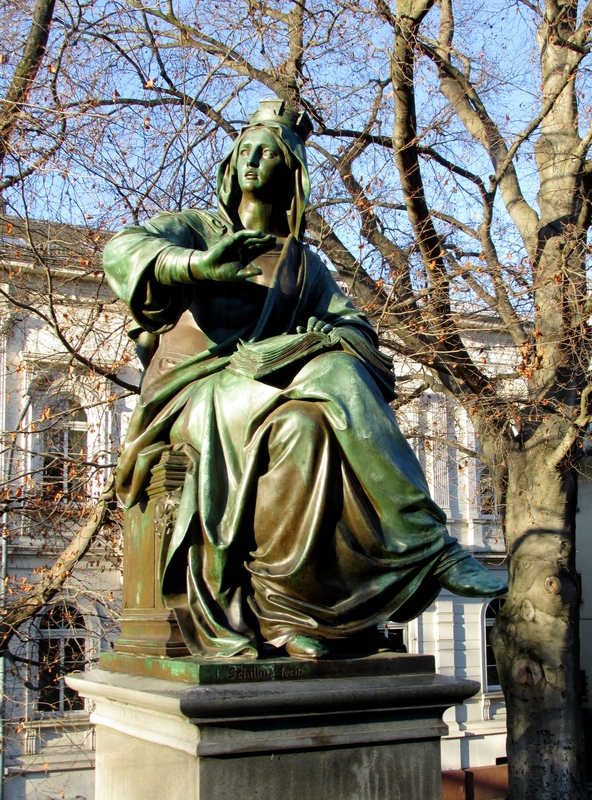 Brunhild and Kriemhild fought on the steps of the cathedral; Siegfried himself is buried before the old wall; part of the great Rhine hoard is supposedly hidden somewhere deep under the city. Today, there’s a museum and a yearly festival and a dozen monuments dedicated to the original epic and its countless reworkings over the past millennium. The boundaries between history and legend are not clear in Worms, and the myth is still very much alive. One of the many monuments in the city. Here, Siegfried’s death at the hands of Hagen. For me, it is all especially close to home. 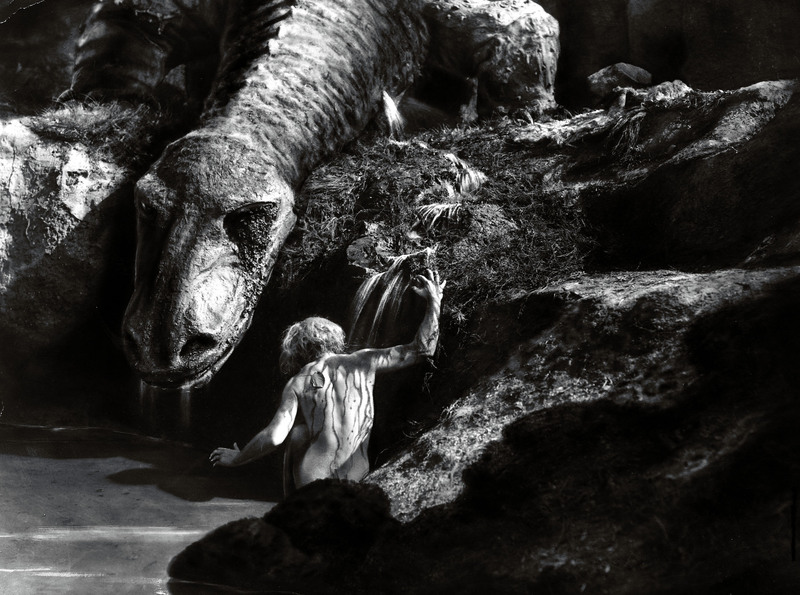 The Nibelungen saga, and more specifically Richard Wagner’s operatic rendition of it, was the story that drew me to German. The figures in the monument above have a great deal of power over me. There is a flexibility and strength to this myth, to all myths. Over the past thousand years, the story has served as a study of Medieval courtly love, of Jungian psychology, of German nationalism, of Gesamtkunstwerk, of Western politics. The events of the narrative are big enough to contain the entire world, yet small enough to fit within a single human psyche. 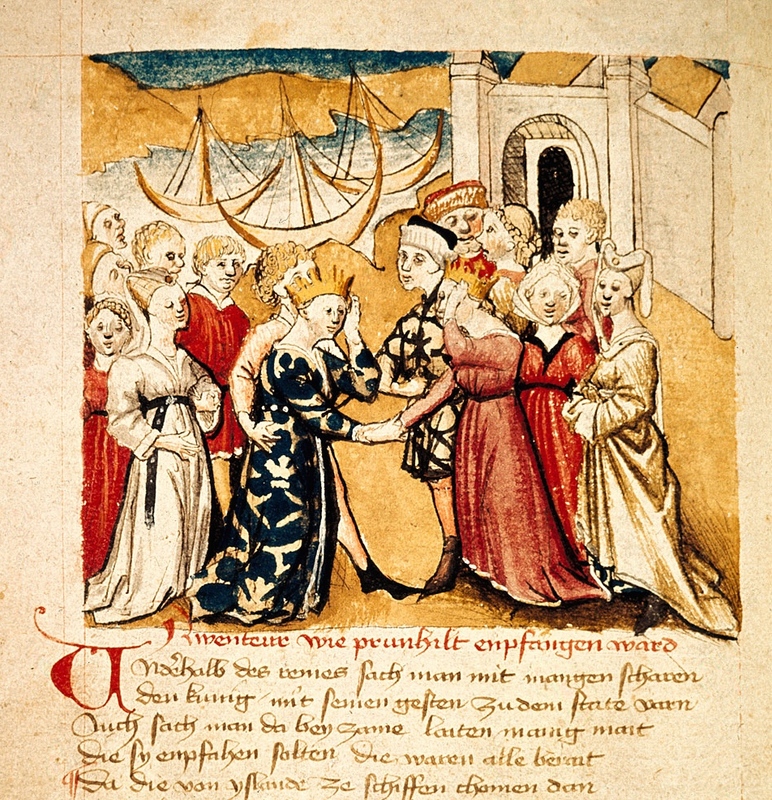 The Nibelungenlied in the Renaissance: courtly love and Medieval customs. Fritz Lang’s silent film from the 1920s: ground-breaking artistry, unfortunate overtones of German nationalism. 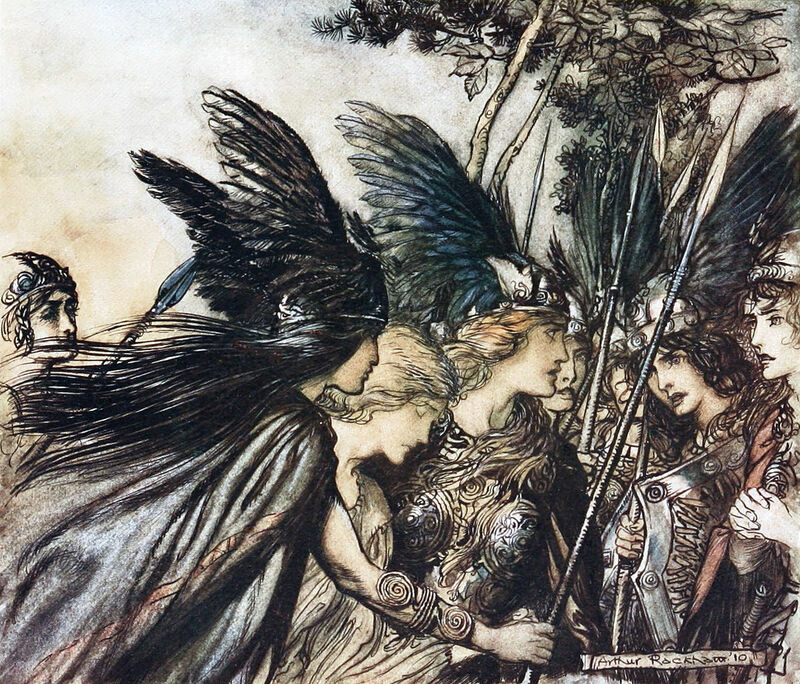 Arthur Rackham’s illustrations: Nibelungenlied as romance and fairytale. Achim Freyer’s production of Der Ring des Nibelungen, which premiered in Los Angeles and is now playing in Mannheim, Germany. Jungian psychology, modern politics. Mythology for the 21st century. This entry was tagged church, Deutschland, Germany, literature, Martin Luther, museum, myth, Nibelungenlied, opera, Reformation, religion, Richard Wagner, Wagner, Worms. Bookmark the permalink. The longer you are in Germany, the smarter I get. Thank you! And……gotta love Martin Luther!